Located at an elevation of 4000 meters, Litang is one of the highest "bigger" towns in the world. Its one of the main centres of Tibetan culture in the Garzê Tibetan Autonomous Prefecture (དཀར་མཛེས་བོད་རིགས་རང་སྐྱོང་ཁུལ་, 甘孜藏族自治州). 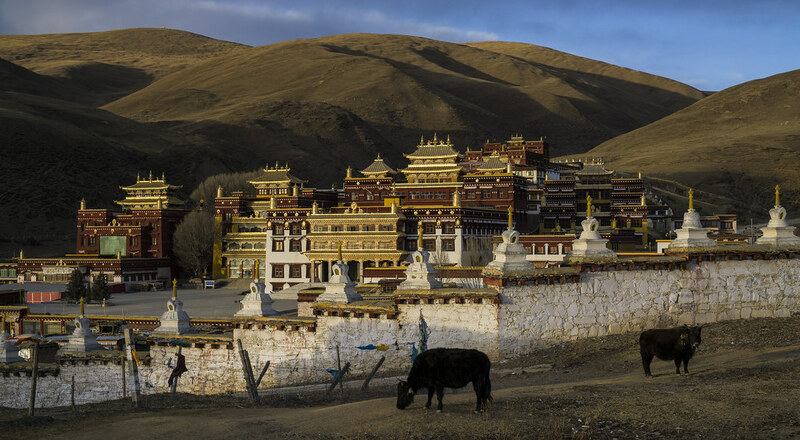 The Ganden Thubchen Choekhorling Monastery, shown on the picture, is the biggest in town and is a place of historical significance, as some Dalai Lamas have been born here and it has been said that the 7th Dalai Lama has resided there.